Mar Vista taco trucks have a poor reputation. It's hard to argue with. 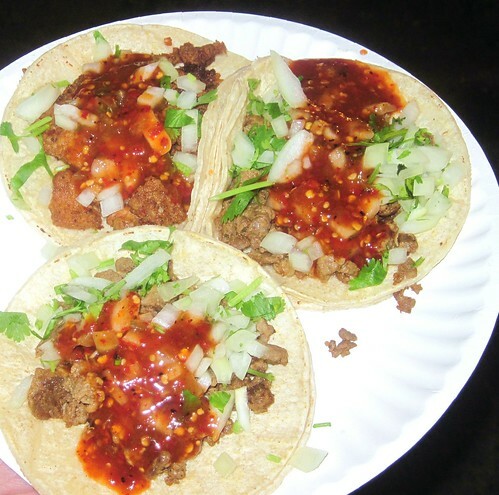 I've never had a good taco from a taco truck in Mar Vista. Living so close to them I am often tempted to give them one more go. And I do when I’m really craving a taco and each time I’m left unfulfilled and still craving a taco. During the daylight there are some decent tacos to be had in the area, but when the sun goes down Mar Vista becomes a taco wasteland. 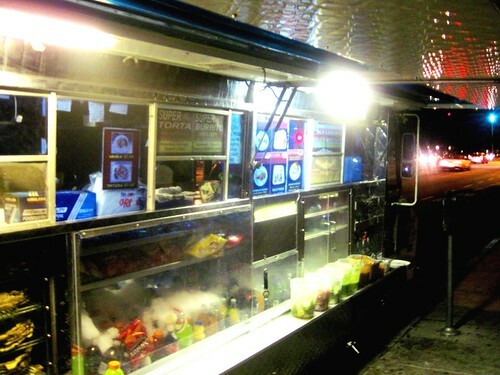 There is Mariscos Tatiana, a truck that parks across from The Good Hurt nightclub at Venice and Centinela. This truck benefits no doubt from the alchhol soaked palettes of club goers. I can’t say I’ve ever had a good taco here. The obvious flaws are the weak salsa and the dry tortillas. On my recent trip the meat was above average, no gummy bits to speak of, and the quesillo taco was quite good. 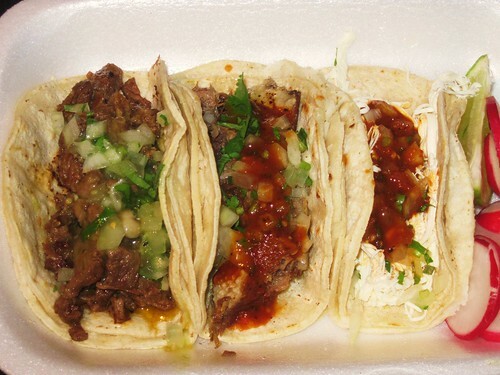 A good taco needs a good salsa and if the tortillas aren’t hecha a mano they need to at least be prepared on the grill properly with a little of the grease from the meat soaked into them. I’m not sure they specialize in tacos. 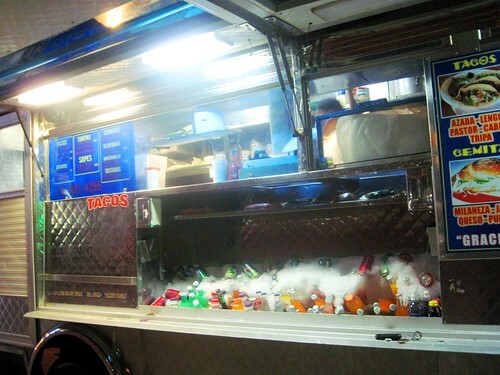 It is an Oaxacan truck so I’d suggest trying a cemita. I’ve never tried the Mariscos here so I can’t speak to that. Down the street is Tacos Del Valle. This truck is relatively new to the area and is a bit more popular than Tatiana. 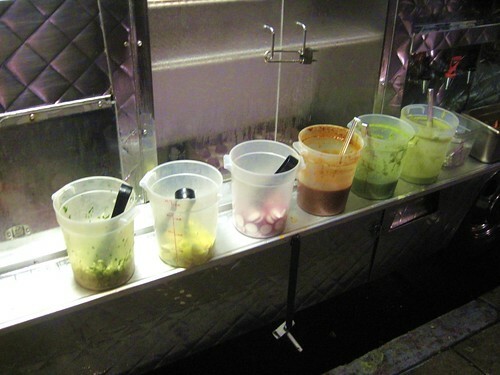 They have tubs of condiments fastened to the truck that include salsa roja, salsa verde, onions and cilantro and radishes. The salsa roja is quite good, a chila guajillo and tomatillo mix that has a little burn to it. 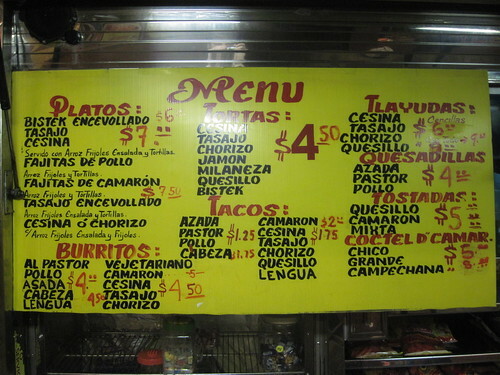 That’s about all the good I can say about Tacos Del Valle though. 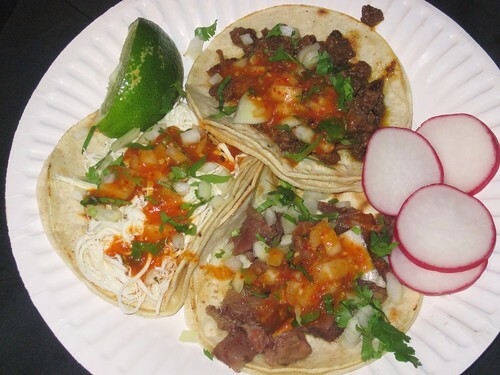 My last carne asada taco was quite dreadful with gummy bits of tendon and an overall boiled texture to the meat. And when I bit into the al pastor half the taco was pork the other half pork fat. Yes pork fat rules but not when it’s half the taco. Further east on Venice Blvd is Yadi’s taco truck. Yadi’s is not in Mar Vista but it’s walking distance from where I live. Yadi’s is a cut above both Tatiana and Del Valle but that’s not saying much. The al pastor is more ground pork than real al pastor and the carne asada is more like carne guisada in texture and taste. One problem with the tacos here is the tortillas. They are always dry and burnt. I’ve never had a taco here where the tortilla wasn’t this way. What saves these tacos is a pretty good salsa and the fact that while the meat is not outstanding by any measure it’s consistently average. On a separate occasion I had a cemita poblana sandwhich from Yadi's and it was excellent. The sesame domed roll was stuffed with oaxacan string cheese (quesillo) and I opted for milenesa,a breaded flat steak with a crunchy texture. 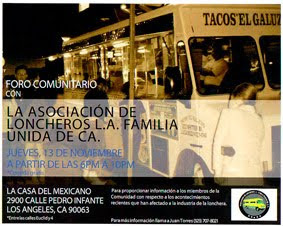 Yes my friends, the taco truck scene in Mar Vista is a sad state of affairs. Only in my most desperate drunken hours would I even consider partaking from them again. Which means chances are I will be back. Yes but it's been awhile. Wasn't too crazy about the tacos last time but I'll give them another go. 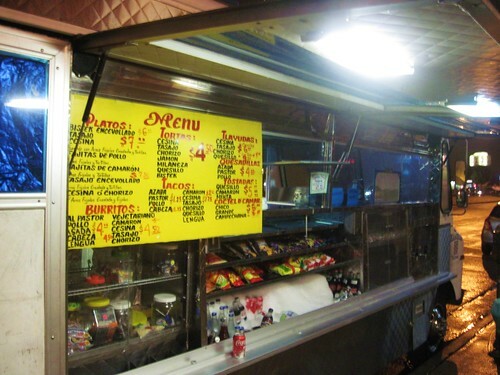 There used to be a no-name taco truck that parked in front of the Zacatecas bar/dancehall/house of prostitution just west of Inglewood on Venice. They had no sign, no menu, but the tacos were delicious. I remember the Carne Asada and Buche were particularly good. This was at least 5 years ago. Have you come across this one? Keep an eye out. One additional point of identification is that it was a short truck - like an ice cream truck, and there was one fat guy working there, alone. Not exactly Mar Vista but the truck that parks on the east side of the Vons parking lot on Barrington and Santa Monica at night has top notch al pastor. Definitely worth checking out. the al pastor is on a spit but it's below avg.